This card is based of the March Hip Card Challenge. There is still time to enter the challenge. The deadline is April 27th. 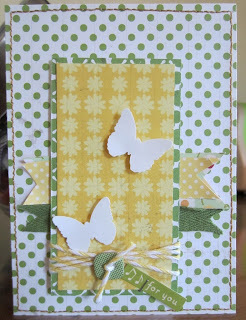 I just love the Martha Stewart Butterfly punch that was in the March Embellishment Add-on kit this month. 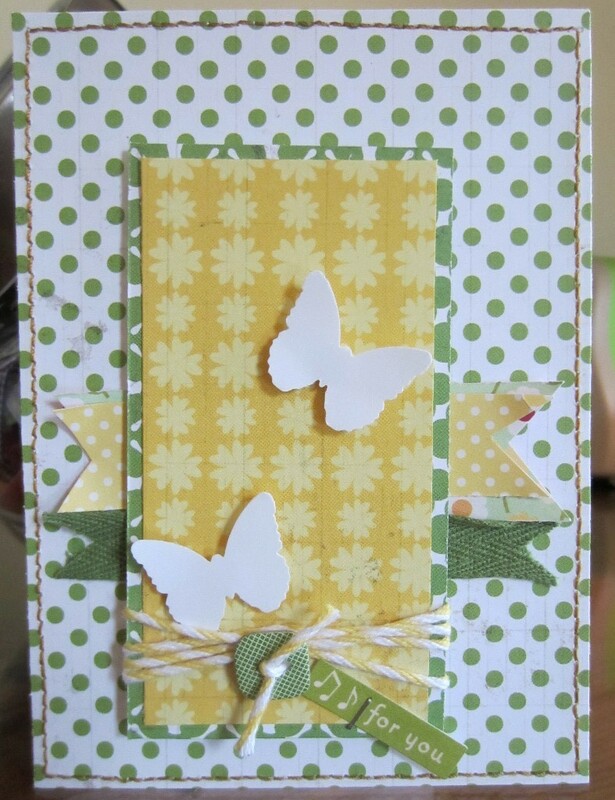 I had some extra photo paper and used that for the butterflies. I love the yellow and green color combination that this kit provides. Thanks for stopping by and taking a look.